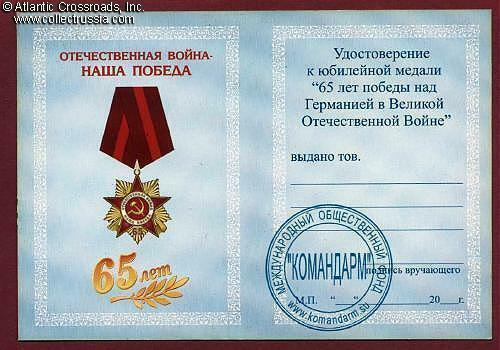 Unissued award certificate for a medal commemorating the 65th Anniversary of Victory over Germany. 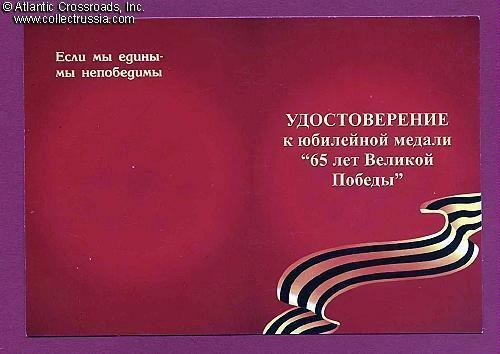 Unissued award certificate for a medal commemorating the 65th Anniversary of Victory over Germany. One of the alternative medals. Design based on the Order of the Patriotic War. Naturally, this medal was not approved by the President of Russia and therefore it has not become a part of the official award system of modern Russia.